©2019 Circle Cardiovascular Imaging Inc. The information contained herein is subject to change without notice. The only warranties for Circle products and services are set forth in the express warranty statements accompanying such products and services. Nothing herein should be constructed as constituting an additional warranty. Circle shall not be liable for technical or editorial errors or omissions contained herein. 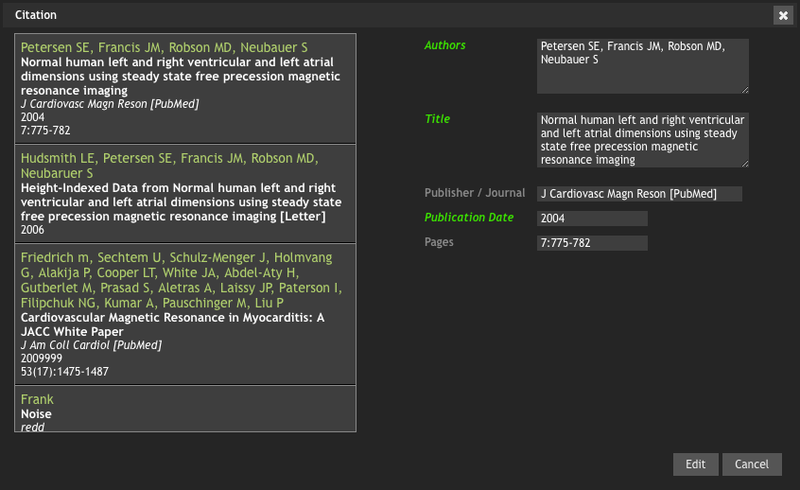 report42 is designed to facilitate documentation and reporting of cardiac images. Fields with import function and with calculation algorithms allow for a fast and easy transition from quantitative information such as volumetric and signal intensity data to a structured report. report42 is based on societal recommendations on structured reporting for cardiovascular imaging (Douglas et al., Journal of the American College of Cardiology 2009;53:76-90.) and can be integrated into patient information storage systems. When linked with cmr42 or cvi42®, it automatically imports image analysis results and classifies them based on user-editable normal value sets. Standard phrases can be defined for preparing the report. 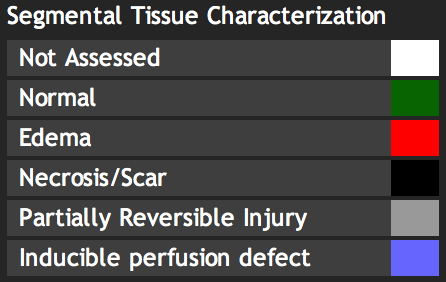 A graphical interface allows for using mouse-clicks to verify regional function tissue pathology and grade stenoses. Results are automatically translated into a narrated findings summary, but includes a graphic presentation of the results. 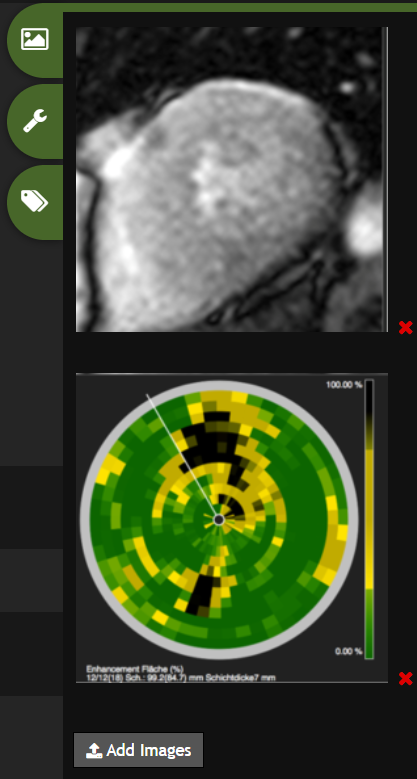 report42 is a web browser-based networked software application intended to use for reporting the results of the cardiovascular MR or CT image analysis performed with a post processing software application or PACS (Picture Archive Communication System) and RIS (Radiology Information System). It can be used as a standalone reporting software application by manually entering necessary information. 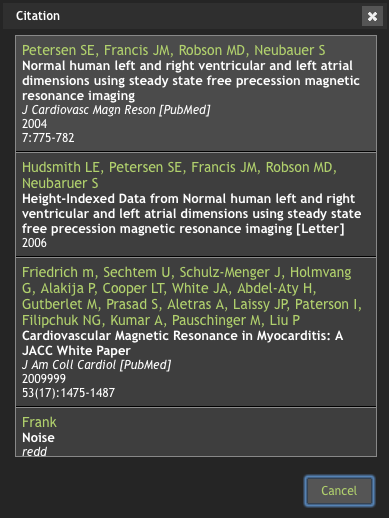 report42 shall only be used to report the Cardiovascular Magnetic Resonance Image analysis or Computed Tomography analysis. report42 is not a diagnostic software application. Please note that the users of report42 shall review the contents for accuracy prior to releasing the report. 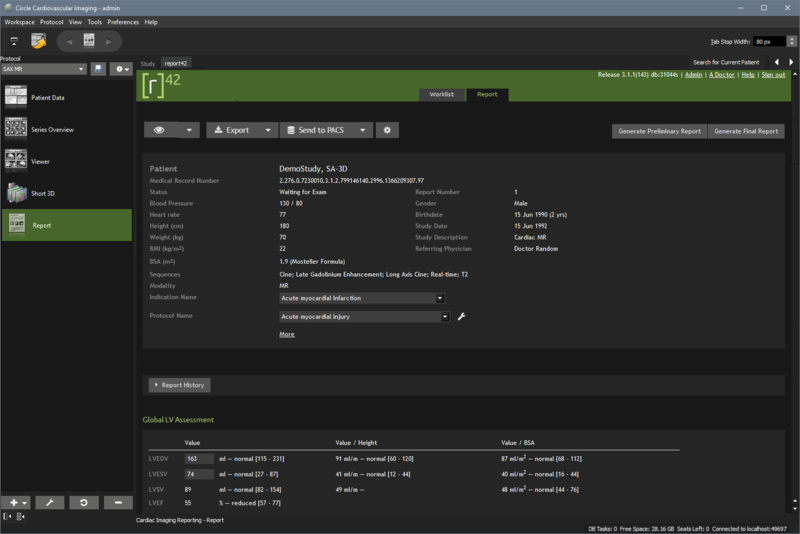 report42 is a reporting tool base on web technologies and works in a standard web browser. Open a web browser and navigate to the address of the report42 web server on your network. Type in name and password. To access report42 from cvi42® you have to configure Reporting in Preferences → Reporting → Report server. Server URL: enter the web address for your report42 server, including port (default is 4280). Username and Password: These will be assigned to you by your administrator. The functionality is based on the definition of users and roles. When opening a study in cvi42® you will be asked if you would like to create an instance in report42. 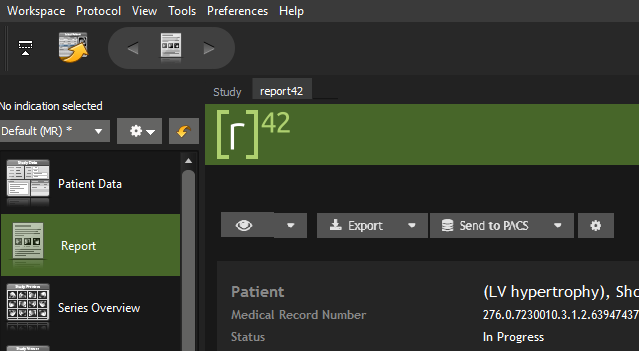 If the instance has been created successfully, the report status will then be displayed in your patient list, if the attribute report42 has been selected. (Chapter Patient List). Go to the Report Module in cvi42® and click on the report42 tab. If an instance has been created the study can be selected from the work list. Clicking on the patient study opens the Report worksheet page. In the cvi42® modules, use the Add to Report button to automatically transfer the values to report42. You are able to add images to your report by right-clicking in an image viewer and using the context menu's Add Frame to Report command. This Filter allows you to search for attributes such as Name, Study Description, Report Status and Visit. Any or All conditions may be matched by changing the Match term selection. 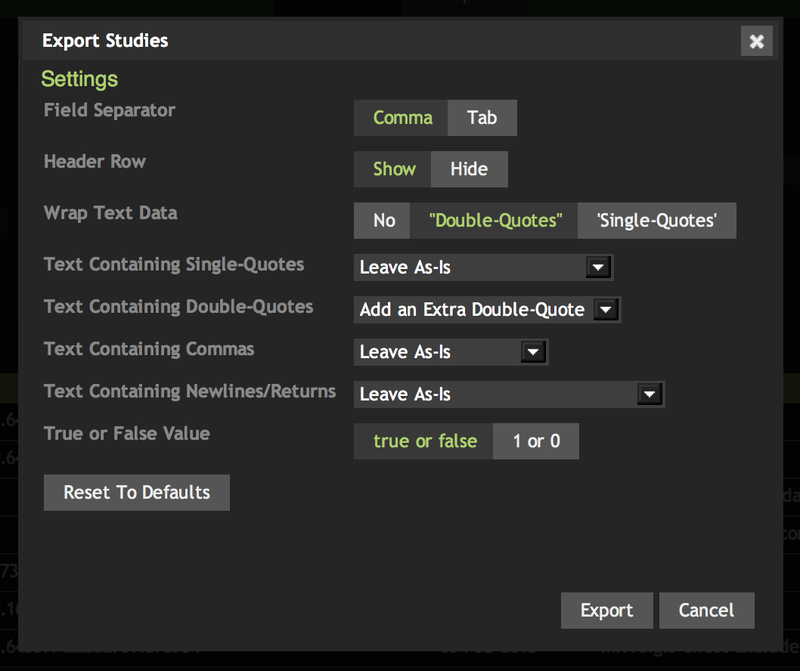 An Export option allows for the export of single or multiple reports in CSV format for import into Excel or other table-oriented data aggregators. This option is available in the Advanced Search interface and exports all reports matching the current search criteria. The default options produce standard-compliant CSV files. 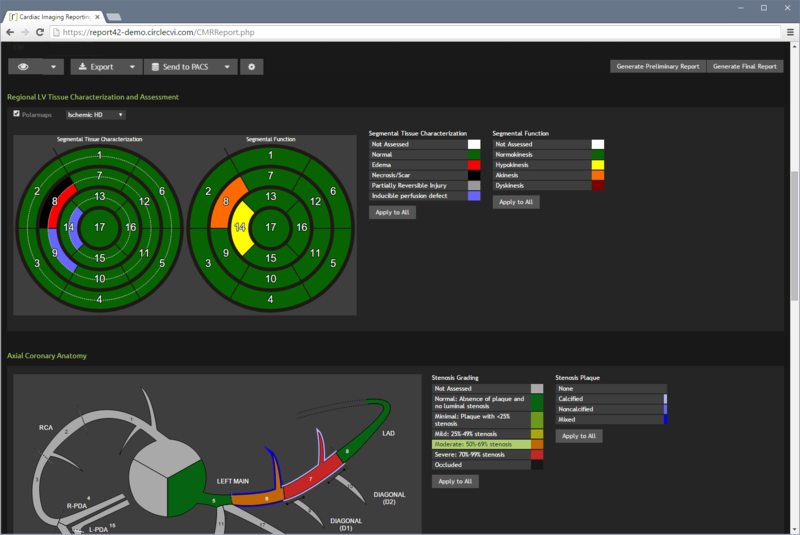 You can customize these options to better suit your analysis tool. Review the report and make sure all relevant sections/analyses are present. If applicable, edit/update analysis sections as per the "how to" sections below. * Note: The Findings section now offers two formatting options — Free Form Findings (legacy) and Structured Findings (new). Only one findings section/format should be used per report. 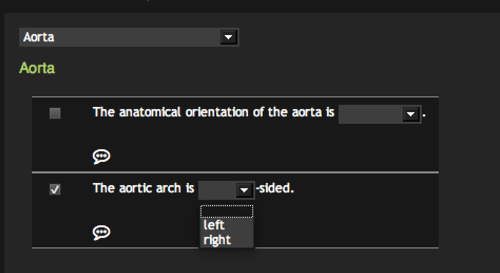 To add text, click on the relevant sections to enter editing mode. Select all relevant text blocks (see How to use Free-Form Findings/Summary and How to use Structured Findings below). The values will be automatically inserted as soon as you leave the editing mode. When you have finished editing, click Done. In the Export Options dialog you can choose a file format. Click OK when you are done. Go back to the top in the Report page and click the Export button to export a report immediately. To add text, click in the Free-Form Findings or Summary section. From the dropdown menu, select relevant category. Click on the desired findings text and it will be displayed in both the text editing pane on the right-hand side, as well as the preview pane below. To edit or remove text, click in the editing pane and add/delete directly. Click Done when finished to return to View mode. To add text, click Edit All. Check the desired finding(s) and, if applicable, specify any additional information. A comment can be added by clicking the speech bubble. In View mode, flags indicate an undefined parameters. Click and drag to reorder findings. Enable a Z-Value Report section. 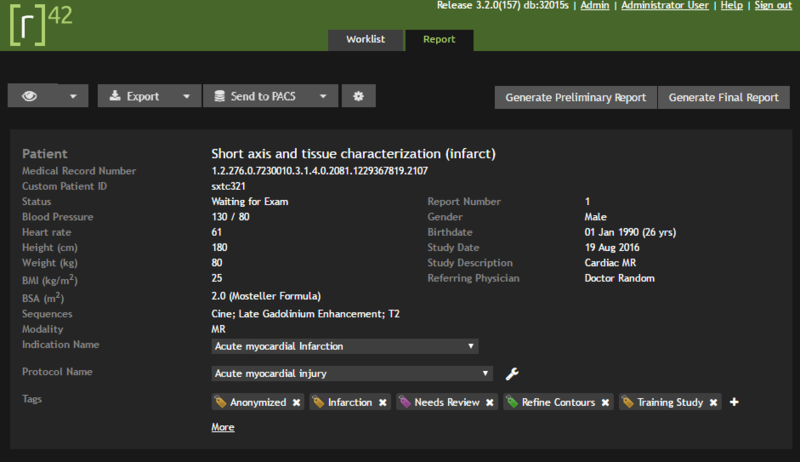 When the patient matches z-score ruleset criteria, applicable rulesets will be displayed. Select check box to enable and expand ruleset(s). 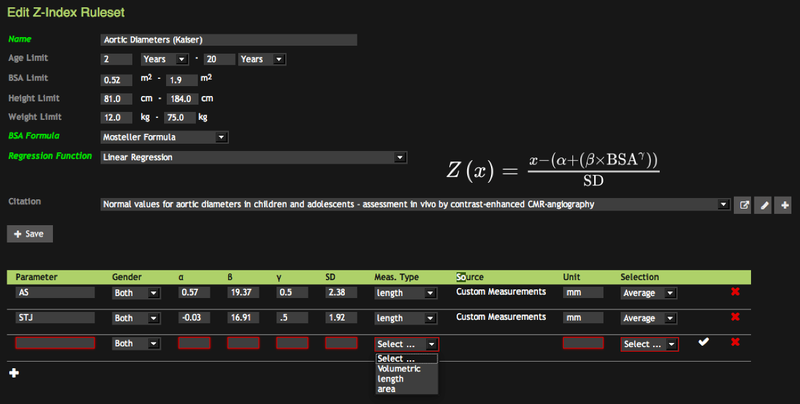 For custom measurements, click in the Measurement field to assign one or more measurements. Custom measurements can be automatically imported from select modules in cvi42® via the Add to Report button. Based on the selected measurements, report42 will then calculate an input value for the z-score function according to the rule set (i.e. min/max/average/mean). The Z-Value: The final Z-score is displayed in the Z-Value column. Expected Z-Value: The expected Z-score is also displayed with “Z-Value”. The purpose of the diagrams is to quickly visualize myocardial injury of the left ventricle as well as function. You may also use report42-specific diagrams providing more detailed information in multiple radial long axis and 3 short axis orientations. 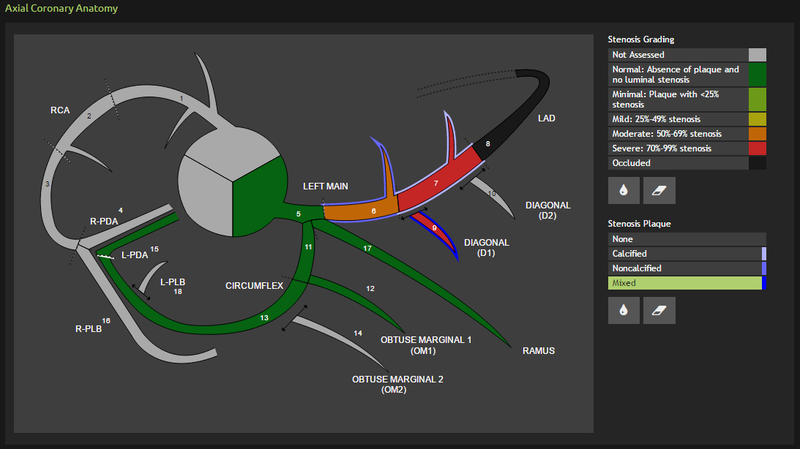 Unlike the AHA segmentation where slices are displayed in an all-in-one polar map view, the slices are displayed next to each other. Stenosis Grade: Represented by segmental fill colour. Stenosis Plaque: Represented by segmental outline colour. Following data can now be edited (using click-to-edit) on the Report Page. Edit Imaging Protocols and Sequences: The protocols define what analyses will be reported. Usually the software recognizes the protocol from the values that have been pushed over. You have the option to enter image quality and/or what contrast agent has been used in order to add it to the report. 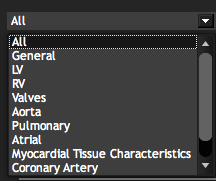 Add/edit a physician and/or address in the Edit Exam Section. Only the name, not the address will be printed on the report. Addresses can only be changed or deleted in the Referring Physician Admin area. Site information can now be edited on the Report Page as well. User can upload logo and update site data on any report & the information will be updated site-wide. Within cvi42® you have the option to add images to your report via contex menu → add frame to report. Only these images show up in the report. cvi42® polar maps will be automatically added to the Report Image section if polarmaps are enabled at the time the module data is added to the report. Images in the sidebar can be dragged into any section on the report page. Deleting an image from the report section will put it back in to the side bar imaging area. Deleting from sidebar will delete the image permanently from the report. Images in the side bar will not be printed in the HTML/PDF Reports, only the images present inside the report sections will be printed. You can choose the number of images you would like to display in sequential columns. You can include or exclude table values indexed by height or BSA. You can pick a color scheme (green, monochrome-light or monochrome). Layout: in formatted tables or plain (one line per report parameter). Character Width: for formatted tables, a maximum page width in characters can be selected. Field Padding: for formatted tables, empty space can be filled in with dots to prevent them from being collapsed by other reporting systems. Destination: on-screen or saved to a file. Individual fields of a report can be hidden by clicking on the Eye icon. Exam: allows to hide sections for the current report (Note that this is the only mode available to non-administrative users and will be used by default). Protocol: available to administrators, this mode will save the selection to the current protocol. Toggle the field-visibility switch to hide/show report fields. Fields highlighted in red will be hidden from the onscreen and printed/exported reports. Fields highlighted in green will be visible. Click on the Eye icon again to return to report editing mode. 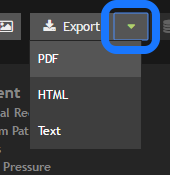 The Export Options dialog allows you to set the report format to PDF, HTML or Text before saving or viewing a report. You can also change the current export format quickly without returning to this dialog by using the arrow-menu next to the Export button on the report page. 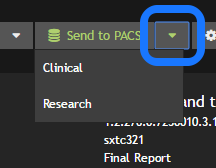 If one or more PACS destinations have been configured in report42, the Send to PACS button will be available. Furthermore, if the minimum report state required to send reports to PACS has been reached, the button will be enabled. 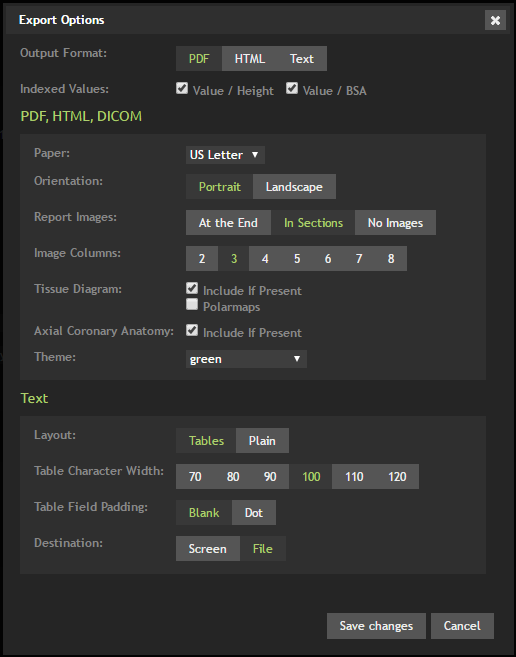 The format options for a DICOM report are the same as for PDF or HTML reports. Every report page has a section for adding and removing new tags. Tags are short metadata descriptions of the qualities of a report that can assist in future searches, but do not print on the final report. Tags can be added to a study and created as you work by using the Plus icon in the Tags section. Access to the Administrative section of report42 is limited by a user's Role and the corresponding Permissions. 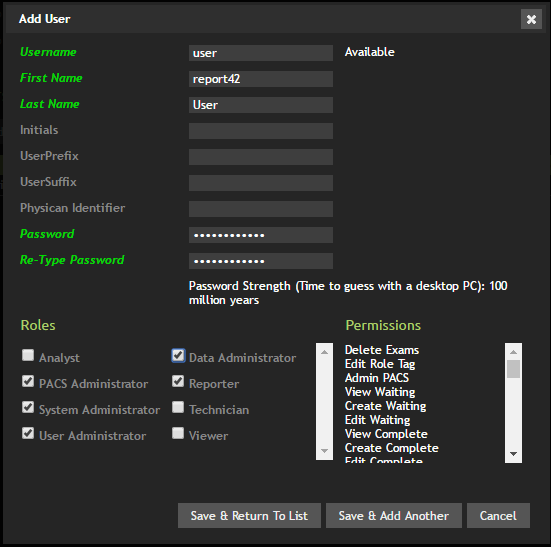 report42 allows you to define multiple user and roles. You can Add a new user or Edit existing users. Note: By default, report42 is configured to allow user and role management to take place entirely in cvi42® v5.5+. If cvi42® meets the minimum required version, you can do all of your user and role administration there. User details will automatically be synchronized to report42 when that user signs in, and their password will always be managed in cvi42®. It is possible to link older local report42 accounts to cvi42® so that all user management will take place in cvi42®. It is also possible to have a mix of local report42-only users and users managed by cvi42®. 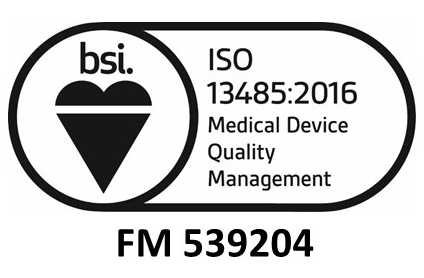 The link icon indicates that a user is sourced and managed from cvi42®. Users sourced from cvi42® do not need to be added manually, they will appear in this list as they log in using their cvi42® credentials and will be granted the same roles. Add or customized existing Roles to suit the needs of a particular organization. In the Admin section Add a role. Select the Use a custom Role Name for Exported Reports checkbox. Enter that role name under Custom Role Name field. Select the Permissions that shall be associated with the role. When adding a user, select the role and thereby the set of permissions that you want to grant the user. The system is able to operate in several languages. The language setting will take effect for every user of the system when they next log in. Be aware that all content entered in the Report Content admin section is linked to the language in use when it was first created. If edits or additions are made and the language is subsequently changed, you will find your content missing. For implementations not using the indication driven workflow, disease clusters, indications and protocols are managed in report42. 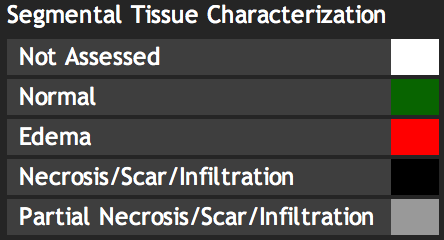 report42 comes with a predefined disease, indication, and protocol hierarchy. To edit, go to their respective Admin sections. 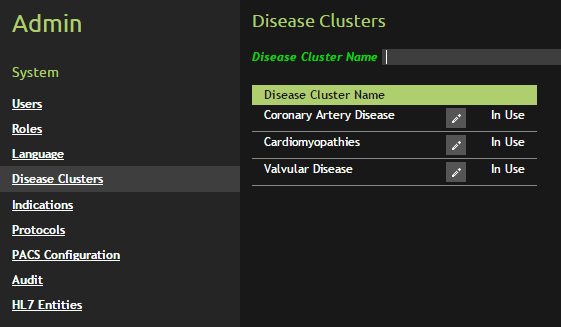 Use the Desease Clusters section to view, add, or edit disease clusters. 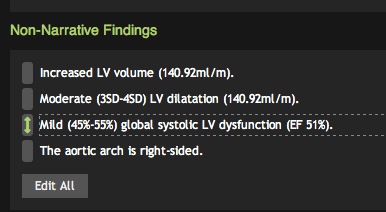 Use the Indications section to view, add, or edit indications or to assign them to a disease cluster. Protocols are used to define the structure of a report and are assigned to indications. Specifically, the protocol determines which report sections and sequences are used to address the respective indication. Here you may configure the DICOM PACS entities that report42 may send reports to, as well as the method of packaging reports as DICOM data. AE Title: the Application Entity Title that report42 should use when communicating with a PACS. Note: Your PACS Administrator or PACS Vendor must configure your PACS to accept images from this AE-Title and the report42 server/host IP Address. Minimum State for DICOM Reporting: Allows you to restrict the state that a report must reach before being permitted to send report data to PACS (default: Finalized). Use the Add New StoreSCU button to add a new PACS host to receive DICOM reports, or edit an existing host conifguration using the Pencil icon. Host Name: network host name or IP address of the PACS that will receive DICOM reports. 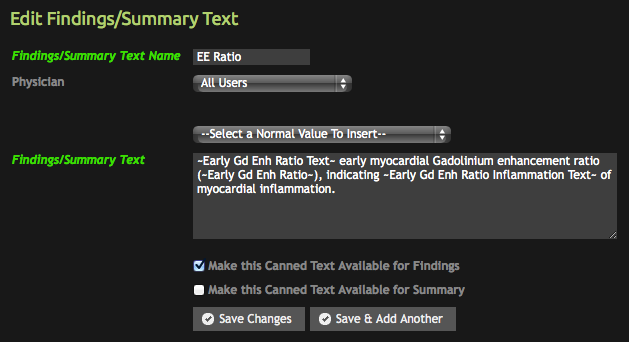 AE Title: the Application Entity Title to target when sending data to this DICOM PACS node. Port: the TCP port that the PACS with this AE Title listens on. Description: a description of this PACS that the user will see when selecting from multiple PACS. This can be more descriptive than the AE Title or hostname, such as, "Clinical", "Research", "Radiology", "Cardiology", etc. Parameters: optional parameters suitable for DCMTK's storescu command. Only required for advanced tuning. DICOM File Type: Choose the type of DICOM report that this PACS will accept. A Secondary Image Capture Series is most commonly supported. The transfer syntax and resolution are configurable according to your PACS DICOM Conformance Statement. Exceeding 300dpi is not recommended due to higher rendering time and storage requirements. 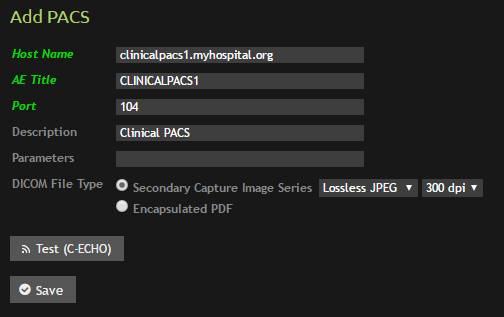 DICOM Encapsulated PDFs may be used if they are supported by your PACS and PACS Viewer. Generally this option yeilds the highest resolution and smallest data size, but is relatively rare. Test (C-ECHO): Sends a DICOM C-ECHO message to your PACS and displays the result. This is useful to confirm that the configuration is correct on the PACS and on this report42 instance. Here you may search through the audit log for changes to the system and edits to report contents. Here you may add and edit report tags for use by all users or by users having specific roles. Tags are short metadata descriptions of the qualities of a report that can assist in future searches, but do not print on the final report. 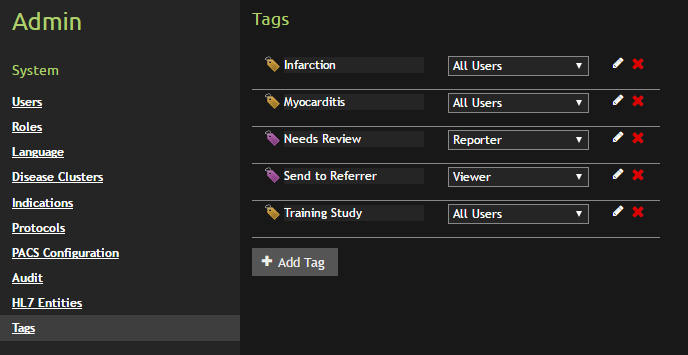 Tags could describe patient conditions, actions taken in the study, study status, ownership, or anything else that isn't directly searchable in a typical field. Tags created for a user's personal use can only be edited by them in their user user profile page, accessible from the link (their full name) in the top-right of the report42 web page. The Site of Service information appears at the top of the first page of your report. Here you can enter contact and accreditation information for your facility, as well as a logo. Logos can be quite large in terms of resolution (which will look sharper on printed reports), However you are advised to use a logo which is approximately square or roughly 2:3 (height:width) in dimension. The Staff module allows you to define the list of people who operate your facility and participate in studies. These people can be added to a report in the Edit Exam page. Their names and all identifying information will appear on the exported reports. Staff are not necessarily users of report42 and are not granted access to the system. Refer to the Users module. Updated Staff Profile: The old staff information (name, position, etc.) will be retained for existing reports, and this edited information will be used for old reports. This can be done many times, for example if a staff member changes their job title. Correction: Simply corrects the current record, for example if the staff person's name was misspelled. You are able to define parameter or options that offer different qualities: e.g. Image quality with a form list that offers the options good/moderate/bad. These options will show up in the CMR Report page. Sequences like T1 mapping sequence or First Pass Perfusion can be defined. These sequences will be added to the list in the Edit Exam page and will be added quickly to a report header to make it more descriptive. Newly defined study descriptions will be displayed in a drop down list in Edit → Exam and will be part of your report header. Study descriptions will also be entered automatically when report data is transferred from cmr42 or cvi42®. You can create a list of referring physicians. Each referring physician can have multiple addresses to which a report might be returned. They will be displayed in a checklist in Edit → Exam and if selected, will show up in the report header. Addresses will not be printed in report headers, they are there as a convenience for addressing returned reports. Referring Physician names will also be entered automatically when transferred from cmr42 or cvi42®. This allows to define canned text, that will be displayed in list format for selection in Edit → Exam. To facilitate inter-center collaboration, administrators can import or export all/selected normal ranges in a readable PDF report or transferable JSON data format. Field Value Exact Match: Allows you to set normal value text results for precise values. Recommended for Report Fields that provide exact, round numbers. Field Value Range Lookup: Allows you to set normal value text results for bounded ranges of values. Insert Field Value: Allows you to copy a report field's name into either another field or more commonly a piece of Findings or Summary Text that you will create later. Report Field Name: select the source field to use as the basis for the normal range. Target Report Field Name: for normal value rules intended to update form fields in report tables, as opposed to simply being used in Findings or Summary text, select the target report field here. After creating a Field Value Range or Exact Value Lookup variable, you can start adding match rules. To add a normal range rule, click the Plus button. To edit normal ranges, just start typing. 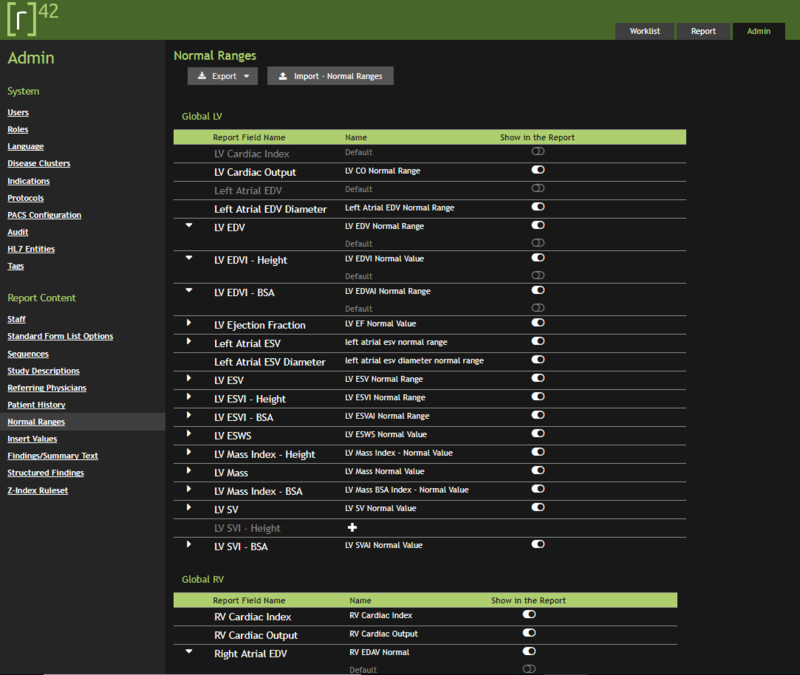 The normal range editor allows you to easily set up new ranges and classifications (normal/reduced/increased) which can be age and/or gender specific. Click the Checkmark to save any unsaved changes. Here you may add and edit to the text available in the Findings and Summary report modules. Findings/Summary Text Name: name of the text snippet as it appears in the Findings/Summary editor. Physician: Findings/Summary Text can be available to all physicians in report42, or just one in particular (for example a specialist with different reporting requirements). Findings/Summary Text: the text to appear on the report, adding in Normal Values to make the text dynamics and relevant to the current report data. 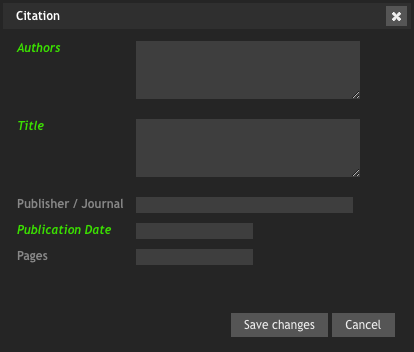 Availability checkboxes: these control which report module the text should be associated with – Findings, Summary or both. 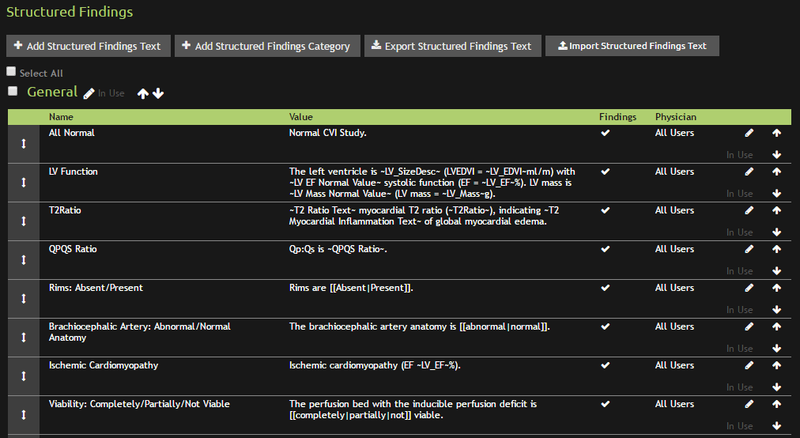 Structured Findings is a report section and can be used as an alternative to Findings. Add new text. Optionally you can insert a normal value. Save Changes. To facilitate inter-center collaboration, administrators can import and export all findings texts (including their normal range dependencies) or selected categories of findings. Rulesets correspond to a particular paper used for z-scoring, and so must be set up to use the same BSA Calculation and the same z-scoring / normal-value regression function used by the paper's authors. Define any limitations that apply to the rule (optional). For instance, the authors may state the upper or lower limits for age, BSA, etc. in their sample population, outside of which the paper should not be considered applicable. Select a the BSA Formula used in the paper. It does not matter what formula you use in cvi42® or report42 for your analysis, the BSA as calculated by the formula stated here will always be used as the input to the z-score formula to ensure consistency. Select the z-score and normal-value regression function used in the paper. Rules correspond to regression curve parameters found within a source paper and will represent a single measurement (length, volume, mass, etc.). Name the specific parameter being reported/calculated. Gender: Select whether the parameter is gender specific. Enter the parameters that define the linear regression curve (α, β, γ). Measurement Type: specify if the parameter is a volume, length or area measurement. Source: length and area are derived from custom measurements. 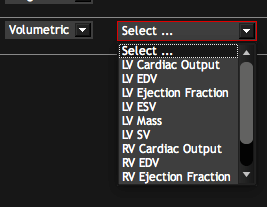 The source for volumetric measurements can be selected from a drop down list. Unit: The unit will be entered based on the selection, but allows for customization. Selection: z score rulsets allows for the input to the regression function (i.e. "x") to be calculated from multiple measurements; the Selection option specifies whether "x" will be calculated as the minimum, maximum, average or median of the multiple measurements. Save the entry by clicking the checkmark.